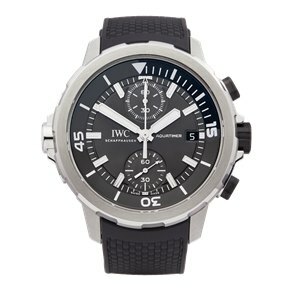 With a growing interest in scuba diving in 1967, IWC decided to create a new model dedicated to the underwater sport – the Aquaracer. This particular model was first designed with an internal revolving bezel to measure the time spent diving. 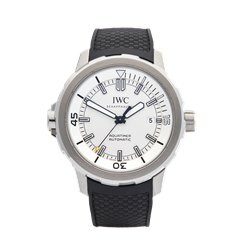 In 1982, IWC further adapted the design to feature an iridescent external rotating bezel allowing it to be seen clearly under water and with water resistance of up to 2000 metres. With a simple round design, this is a contemporary watch for the modern day diver and is ideal for those looking for a pre-owned timepiece with capabilities far beyond just telling the time.